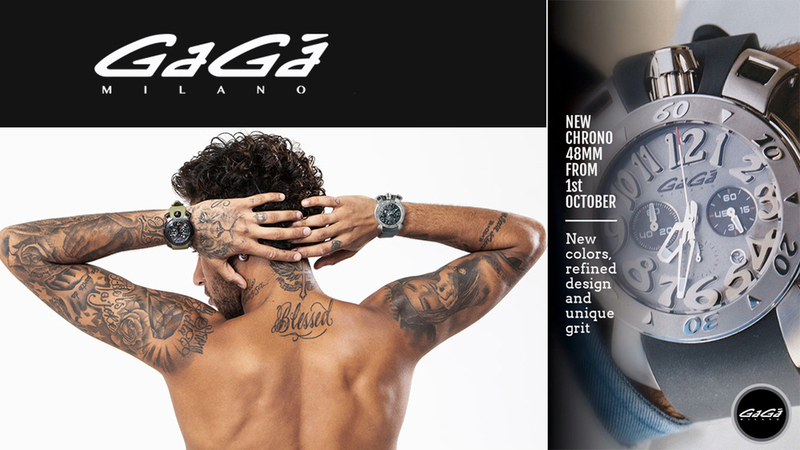 GaGà Milano introduces the MANUALE 48MM CHRONO, in different versions: steel, pvd, yellow or rose gold plated. 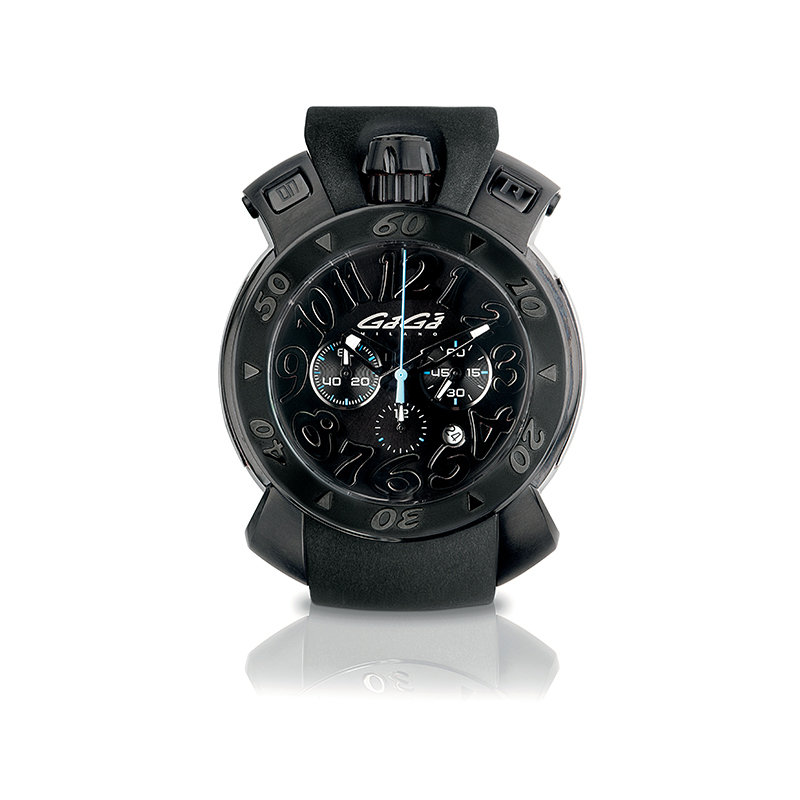 The case with an external rotating bezel encloses a quartz chronograph with three counters with date at 5 o’clock position. On the sides of the case, at 3 and 9 o’clock position, there are two glass portholes containing a bezel with the typical GaGà numbers drawn on it, while ergonomic buttons prevent the accidental activation. The brushed dials have embossed numbers and logo in applique. 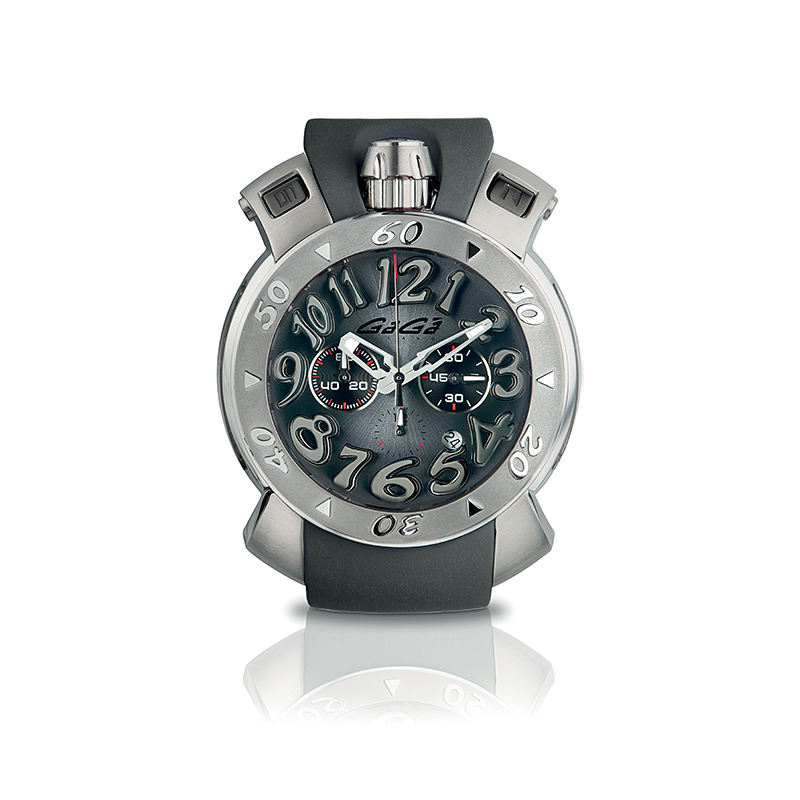 The screw caseback has an o-ring security to ensure water resistance up to 5 ATM. From the collection stands out the model dedicated to the Brazilian champion Neymar, enthusiast testimonial of the brand. The MANUALE 48MM CHRONO NEYMAR with black pvd case, is characterized by floating natural stones inside the portholes on the side of the case and by the brushed dial with logo, numbers and indexes embellished with diamond-cut natural stones. 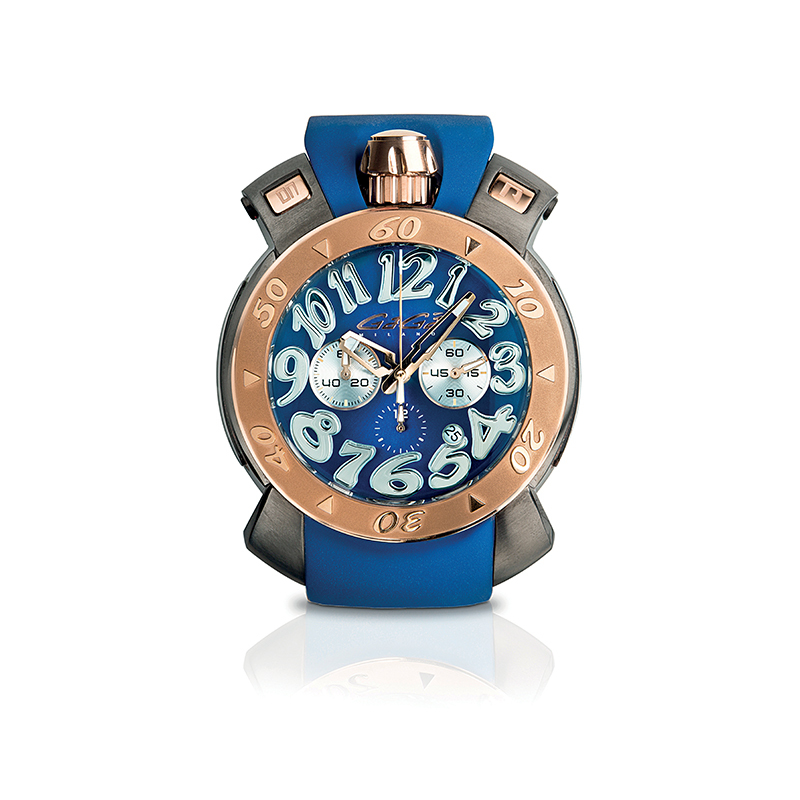 The hypoallergenic rubber strap made with natural colors completes the look of the watch.